Today was a long day. After coming back home with arms shaking and legs trembling (after an hour of boot camp class), I dragged myself into the shower and relaxed for all of five minutes. I then proceeded to quickly get dressed and have a quick lunch followed by homework and class. Then more class and a meeting. I finally got home a little bit before 7 p.m. with a rumbling belly and a not-so-huge motivation to cook. Still, the moment I saw my book lying on the coffee table, I was inspired. 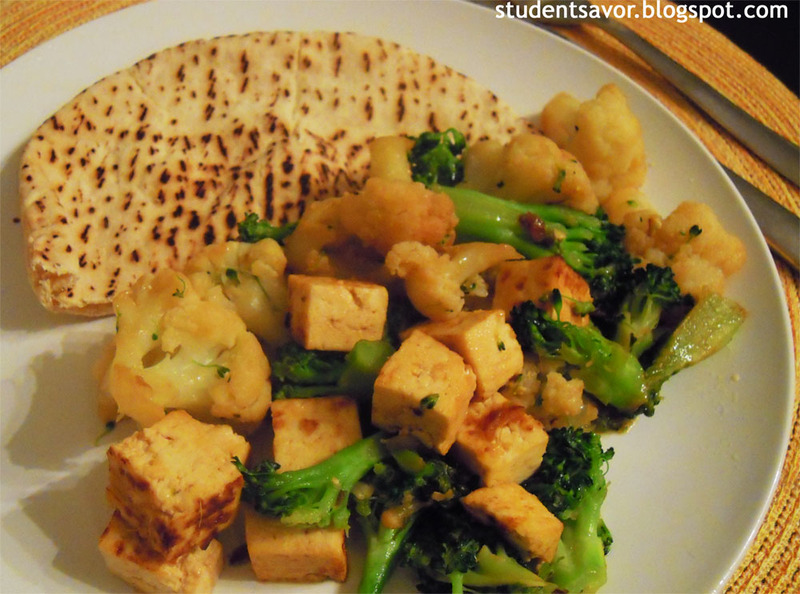 My roomie was out for dinner tonight so I decided to make tofu (since she doesn't like it). Here is the recipe for my dinner. I took most from Mark Bittman, but made a few changes. Heat 2 tablespoons oil in a large saucepan on high heat. When hot, add onion and cook until browned, about 2 minutes. 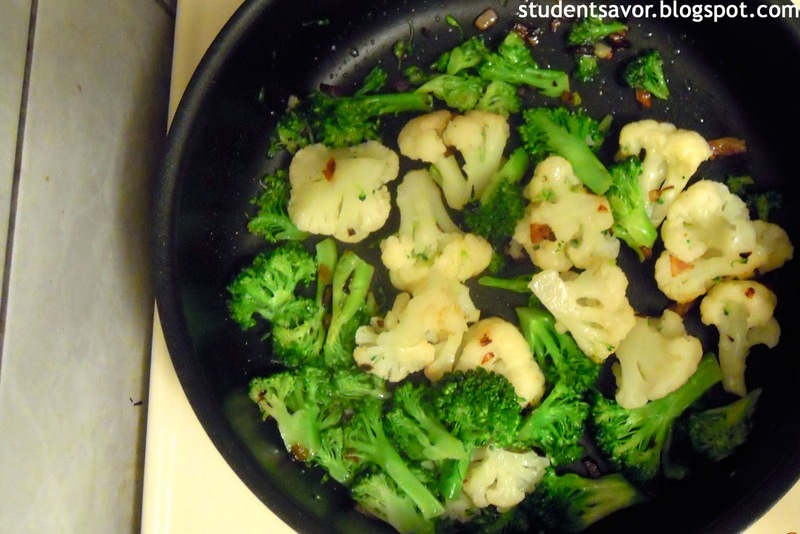 Add broccoli and cauliflower and cook stirring until tender but not soft. Transfer vegetables to a bowl and reserve for later. Add remaining tablespoon of oil to saucepan. Add ginger paste and cook stirring for 30 seconds. Add tofu and cook until it begins to brown, about 5-7 minutes. Pour chicken stock and wine into saucepan and cook stirring until half the mixture has evaporated. Add vegetables and cook until just reheated. Add soy sauce and stir to mix. Remove from heat and serve. 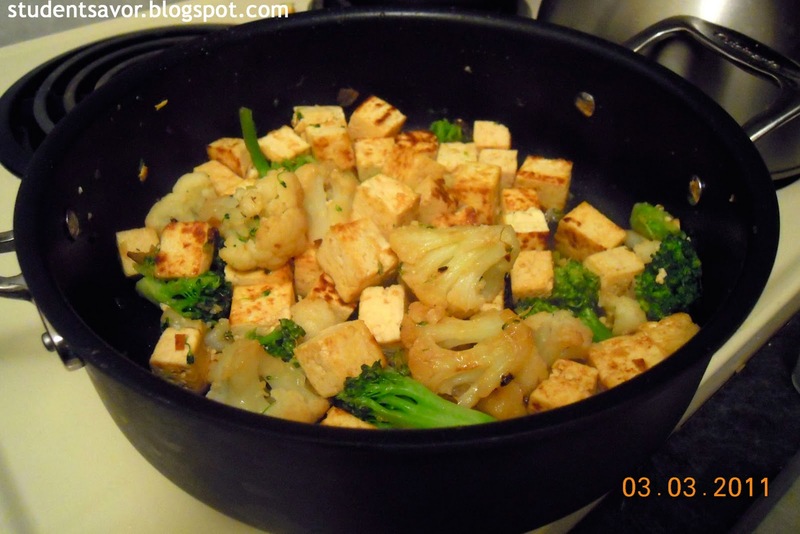 Also, I didn't know this before, but in order for tofu to absorb flavors better you should either freeze or squeeze it before cooking. 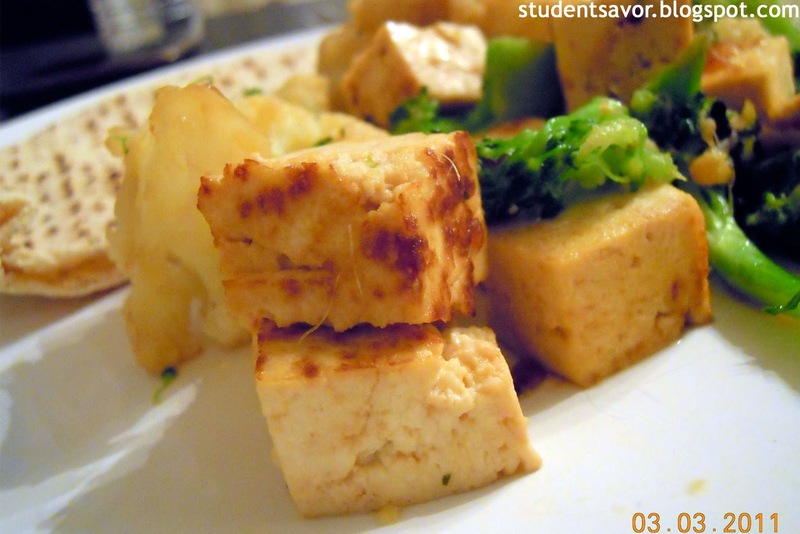 To squeeze (which is what I did), slice tofu horizontally and place between two sets of four paper towels. Put a book or similar object on top and leave to squeeze for about 20 minutes (or longer if you have time).